In a story I’ve shared here at least once, Throwing Muses and The Replacements were both separately playing D.C. one April night in 1989. 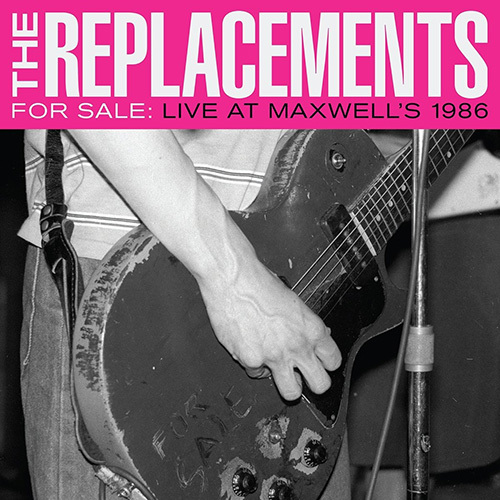 Everyone else I worked with at the Record Co-Op at the University of Maryland was going to see The Replacements while I went to see Throwing Muses. I didn’t, that night, regret my decision as I loved the Muses (and still do) and, oddly, I had a closer encounter with one of the ‘Mats than any of my coworkers did at the other concert when I saw Tommy Stinson pop up in the back of the old 9:30 Club with local hero Tommy Keene in tow. Fittingly, he was wearing the same outfit he wore in the “I’ll Be You” video which he had presumably been sporting at the band’s concert earlier that evening across town. He was very gracious and funny as he signed my autograph. Seeing him in that outfit, like he had stepped right out of that then-current video for that college rock hit from Don’t Tell A Soul (1989), made him seem larger than life. And for a band with such chaos and hoopla around them at every moment, The Replacements were certainly larger than life. And yet no member of the band, Westerberg included, has even come close to releasing something subsequently that captured some of the fun and glory of the best Replacements records. 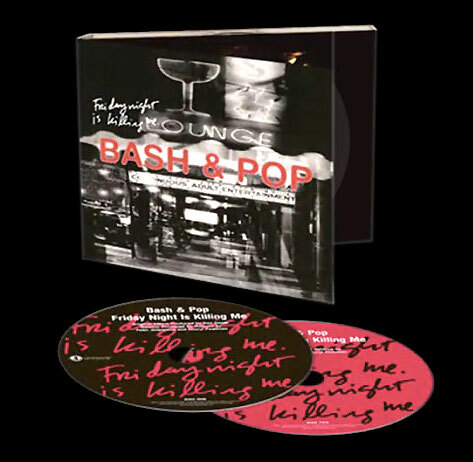 Thankfully, at least in some ways, the new one from Stinson’s Bash and Pop does. Anything Could Happen isn’t going to change the world but it’s going to warm a lot of hearts out there, especially for those of us who held the music of the ‘Mats so close at such important moments of our lives. 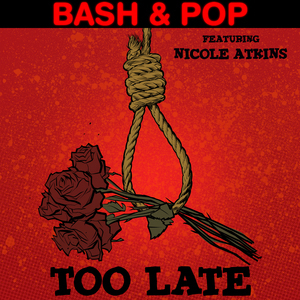 From the sharp, punchy opener “Not This Time” and on to the woozy-boozy lurch of “On The Rocks”, it’s immediately clear that Bash and Pop are on fire. It’s been a few decades since the band’s last album but, dammit, we should have been missing them more. The title cut rocks with a sense of abandon reminiscent of early Seventies Rolling Stones singles, while the mid-tempo “Anybody Else” brings the vibe of “Talent Show” into this century. Similarly, there’s something deliciously world-weary about “Bad News” that gives the tune the sort of swaggering poignancy that so many of the best Replacements cut had even while the bright and sharp “Never Wanted To Know” suggests nothing so much as a more-rough-around-the-edges Cheap Trick. The brash “Jesus Loves You” brings a bit of boogie-woogie attitude to the record even as Stinson wails over the strutting melody, while the gentle “Anytime Soon” adds some slide guitar-inflected balladry to the album. 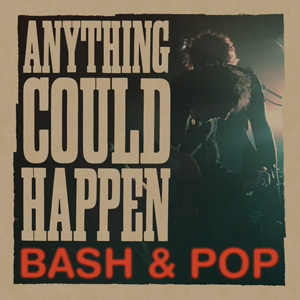 Anything Could Happen ends with the beautiful and relatively mellow “Shortcut”, a gem that’s every bit as good as lots of solo Westerberg material. Comparing Tommy Stinson to the main ‘Mat seems appropriate given the fact that, based on what’s on this record, Stinson clearly deserves more attention as a songwriter. 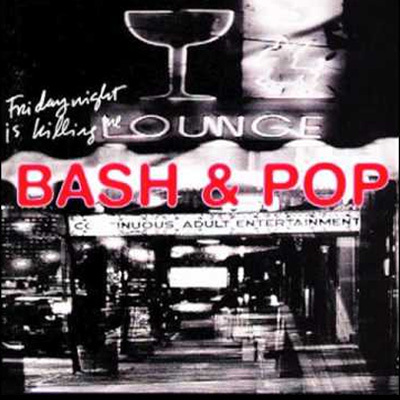 The cuts here are uniformly energetic and affecting and one can’t help but be a little surprised at just how good this record is; I don’t think anyone was thinking that we needed Bash and Pop to come back after so many years away but, hey, thank God they did ’cause the results are a blast from start to finish.